Now available from HBM is the BU18 build-up system, which has been developed to measure or calibrate large compressive forces as a smaller and less expensive alternative to existing direct loading machines. The BU18 offers precise calibrations, even for mobile purposes. Suitable for a variety of applications, it can also be used to check material testing machines or force transducers with high precision on-site. The modular design offers users significant practical advantages for system assembly. All system components can be removed individually and are clearly marked for ease of assembly. Moreover, significantly lighter than any other comparable 3MN force transducer in its class, the built-in system can also be easily fitted and removed by one person. The device is suitable for use in a wide range of equipment such as test benches. 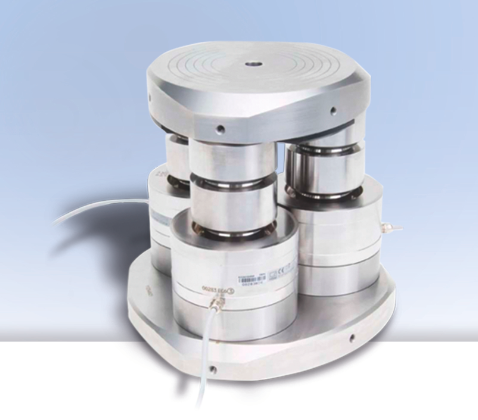 In addition, the three 1MN force transducers can be used independently as stand-alone reference force transducers.